For years, medical organizations, pharmaceutical companies and physicians have all recommended that taking a daily dose of aspirin (baby aspirin) would help prevent a heart attack or stroke. But this week, the American College of Cardiology and the American Heart Association just reversed that idea. This recommendation comes after a large clinical trial found that a daily low-dose aspirin had no effect on prolonging life in healthy, elderly people and could be linked to internal bleeding and hemorrhage. Three recent studies found that taking a daily low-dose aspirin is, at best, a waste of money for healthy older adults and may raise their risk of internal bleeding and early death (1, 2,3). People who are at risk of internal bleeding include anyone with a history of kidney problems, ulcers, especially in the gastrointestinal tract, or anemia. Other medications, such as nonsteroidal anti-inflammatory drugs (NSAIDs), steroids, direct oral anticoagulants and blood thinners, can also increase the chance of bleeding. Aspirin (even if it’s a cute little baby) is not good for your body! Aspirin depletes important nutrients such as folate, iron, potassium, sodium and vitamin C.
Symptoms associated with these depletion’s include: anemia, birth defects, heart disease, elevated homocysteine (a risk factor for heart disease), headache, depression, fatigue, hair loss, insomnia, diarrhea, shortness of breath, pale skin and suppression of the immune system. This is simply another example of why certain types of studies and how they are designed matter more than others. We certainly live in a time where “Sensational Science” headlines are powerful enough to impact health and it’s important to learn how to interpret them if you’re gong to rely on them. It’s no secret that Bayer, the large multinational German drug company, made its first fortunes in the late 1890s when it commercialized both aspirin and heroin as cough, cold and pain remedies. But it’s less widely known that Bayer promoted heroin for use in children suffering from coughs, colds and “irritation” as late as 1912. Worse is the fact that it took a while for “policy makers” and physicians to pick up on it. Fortunately, Heroin was restricted to prescription-only use in the U.S. in 1914 and eventually banned by the FDA altogether in 1924, except under very strict medical conditions. How many times have you heard of the latest and greatest medication, procedure or “national health campaign” that promised all sorts of benefits for those who’d readily participate, only to find out later that the people in charge were misguided and wrong? My point here is that it can take time, sometimes decades and even a century, before the ill advice of something that initially seems harmless, is finally recognized for its ability to bring about devastation and destruction within a family. Thousands of years ago, humans witnessed injured bears (not the Chicago Bears) gnawing on the bark of white willow trees. 3000 to 1500 BC – white willow bark was used as a medicine for inflammation and pain. 400 BC – Hippocrates used willow leaf tea to ease the pain of childbirth. 1700’s – the Royal Society published a report detailing five years of experiements on the use of dried, powdered willow bark for fevers and pain. 1897 – Bayer patents the process of creating acetyl-salicyclic acid and named Aspirin. 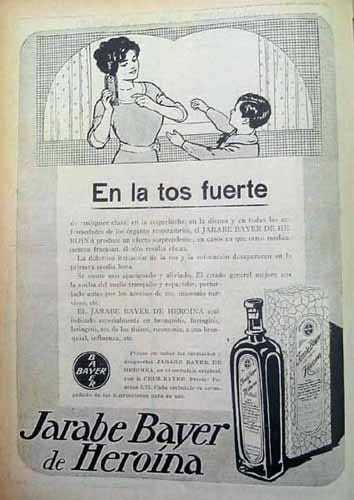 1950 – Bayer wins the Guinness World Record for being the most frequently sold painkiller. 1971 – John Vane, professor of pharmacology at the University of London, publishes research describing aspirin’s mechanism of action (dose-dependent inhibition of prostaglandin synthesis) (Nature New Biology 1971;231:232). 1982 – John Vane wins a Nobel prize for this work. On one hand, John Vane found that Aspirin blocks the production of an enzyme known as COX (cycloxygenase). In doing so, Aspirin prevents inflammation, swelling, pain and fever. Awesome! Aspirin also blocks the formation of healing compounds necessary for the body to repair itself. This means that aspirin block compounds necessary for the stomach to maintain proper function, maintain kidney function and stop internal bleeding among other things. 1995 – Bayer wasn’t concerned about the findings, ignored Nobel Prize winning research and continued to push by expanding their market reach. Part of this expansion included the push of “baby” aspirin to protect against heart attack and stroke. 1995 – 2015 – Several studies published demonstrating a potential benefit of Aspirin reducing heart disease risk and even cancer. What’s important to understand here is that there are different types of studies that lend more weight and credibility than others. There’s observational studies, cohort studies, meta-analysis, clinical controlled trials and systematic reviews. 2019 – The American College of Cardiology and the American Heart Association publish Guidelines on the Primary Prevention of Cardiovascular Disease indicating that Aspirin is no longer considered a primary recommendation. How in the world could a synthesized chemical be healthy for your body? All forms of aspirin carry risk – even if it’s just a little baby. Protective covering, Buffered, Enteric Coated or not, Aspirin paralyzes the production of physiologically-important compounds in your body and will continue a vicious cycle of bad health. If you do want a natural pain reliever, then consider 850 mg of Turmeric Extract or While Willow Bark, which doesn’t contain “Aspirin” and it’s known side effects, but does have medicinal properties for pain relief.